Ever ordered a pizza and waited forever for it, only to finally get it inside and realize that it’s already cold? 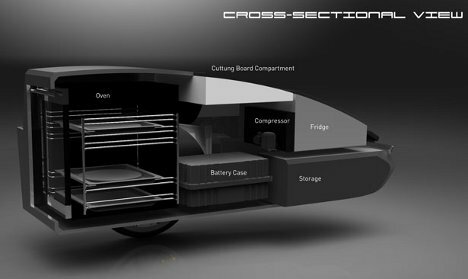 Designer Ying Hern Pow wants to eliminate that disappointment forever with the Cydecar pizza delivery vehicle. 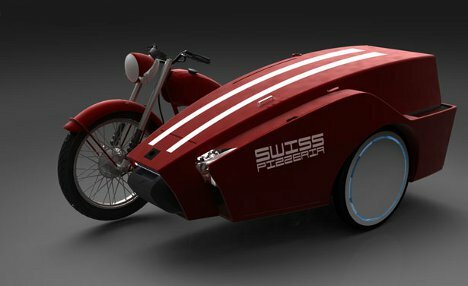 The Cydecar is, as you might expect, a sidecar attached to a motorcycle. But it’s what is inside that counts. 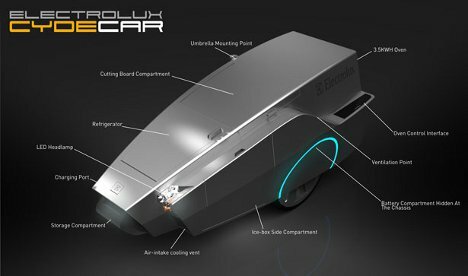 There is a mobile oven, a refrigerator, storage space, compressor, battery and a small preparation area all packed into the small sidecar chamber. The concept would allow for a number of different scenarios. A pizza shop could fully bake the pizza and stick it in the courier’s mobile oven to keep it warm, or simply put it together at the shop and let it bake on the way. 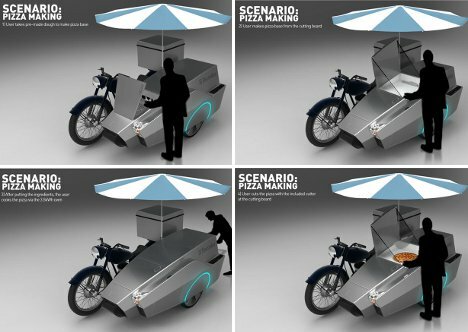 A slightly more adventurous scenario would be using the Cydecar as a street food cart, parking it somewhere and baking up slices or whole pies. The designer even suggests preparing and baking orders for delivery totally within the sidecare, with no shop involved. See more in Mods & Custom or under Transportation. June, 2012.